Fifty years later, Stephen Hall still appreciates the kind, patient, caring nature that his grandfather always showed not only to family but countless others seeking higher education. “Grandpa made it more accessible and flexible. That carried over to Concordia when it was established by Sir George Williams University and Loyola College merging in 1974, and enabled me to study the courses I wanted as an independent student,” says Stephen Hall, referring to business night classes he took at Concordia. Henry Foss Hall played a pivotal role in the evolution of Sir George Williams College, which offered the first undergraduate credit course in Canada for adult learners in 1934. He figured prominently in expanding the university entrance possibilities for men and women of various ages, religions, economic means and cultural backgrounds. 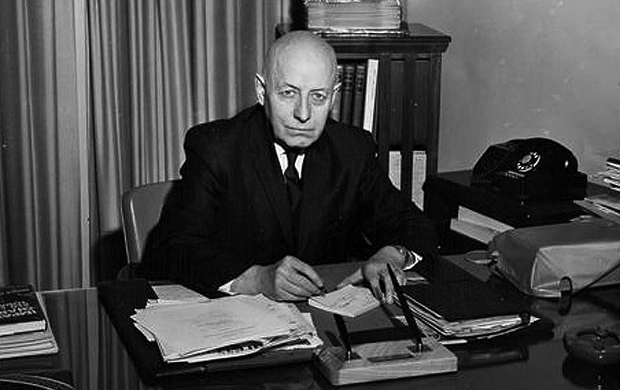 Under his open-minded and heartfelt leadership, Sir George Williams became an accredited university in 1948 with no quotas based on race, gender or religion. It also welcomed qualifying individuals who could only take classes at night or part-time because of their work and/or family obligations. First Sir George Williams and later Concordia became “almost like the family business,” Stephen Hall adds, with his father, the late John L. Hall, BSc 54, having a key role in expanding the faculty and staff at both universities as the director of the personnel department. Among the recipients of the first Order of Canada honours in 1967, Hall was always a modest person. 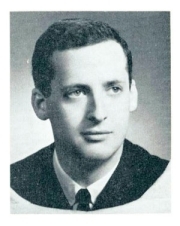 He wrote The Georgian Spirit (1966) — a book chronicling a history that began with the Mount Royal Business College at the Montreal Young Men’s Christian Association (YMCA) in 1899 and concluding with the official recognition of Sir George Williams University’s name on December 18, 1959 — without mention of his central role. Born in 1897, Hall grew up in the agricultural community of Farnham in Quebec’s Eastern Townships. As soon as he became old enough at 17, he enlisted in the Canadian Army and fought in the First World War trenches. After the war, he remained in England for nearly a year and became involved with the recreational activities being provided for servicemen by the YMCA, which had been initiated by Sir George Williams in London in 1844. (For a brief history of Sir George Williams and the college’s founding, refer to “Sir George Williams’s great-granddaughter recalls the YMCA founder” at right). Upon returning home, Hall completed his university studies. He was subsequently hired as the first student counsellor of any kind in North America. The new position was specifically created for him shortly after the courses offered by the YMCA on Stanley St. were taken over by the newly formed Sir George Williams College in 1926. He wasted no time in developing a guidance program and encouraging a curriculum expansion that would eventually lead to Sir George Williams’s university accreditation. He also combined his love of teaching science with his role as dean of students, until his appointment as principal in 1957, a post he kept until 1962. He subsequently remained influential as principal emeritus until his death in 1971. “Grandpa was particularly interested in helping Second World War veterans to obtain university educations, because he knew how much they had sacrificed, having himself served in the First World War,” Stephan Hall says in reference to the Claremont Division, a program briefly set up to help veterans earn their university admission requirements. 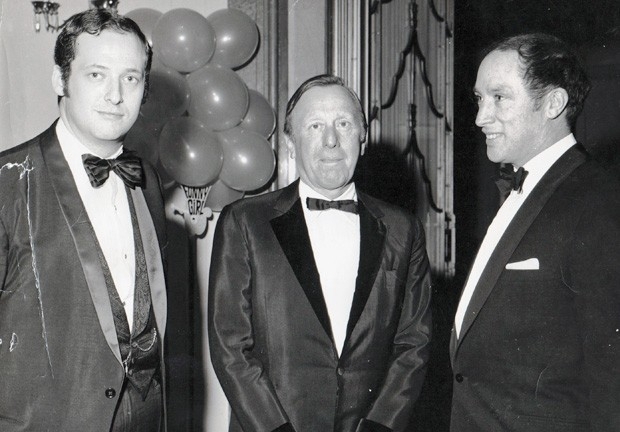 Lionel Chetwynd, producer Ray Stark and Canadian Prime Minister Pierre Elliott Trudeau at the London opening of Funny Girl in January 1969. Henry F. Hall believed in giving adults with the “necessary ability and persistence” the opportunity to prove themselves in tests and/or by enrolling in courses to qualify them for college or university, even if they never finished high school. In the process, he dramatically changed many lives. Lionel Chetwynd, BA 63, still becomes emotional when he recalls the way Hall altered the course of his life. Although now a long-established and renowned screenwriter, director and producer (Varian’s War, 2001) based in Los Angeles, back in 1960 Chetwynd had reached a state of despair when he asked to speak with Sir George Williams’s principal. He grew up in Montreal with dysfunctional parents and had to quit high school at 14 to help support the family after his father was jailed. He eventually returned to school yet ended up expelled before completing Grade 10. While he later found structure and discipline by signing up with the Black Watch (Royal Highland Regiment) of Canada, he couldn’t make a career of the military. “I was 20 years old and had just lost my job as an Eaton’s sales clerk,” Chetwynd recalls. “People didn’t trust me when they found out who my father was.” Out of job possibilities, he walked over to Sir George Williams, where a former army buddy was already taking classes. 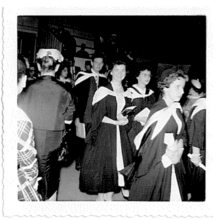 After a battery of tests, Chetwynd received conditional admittance as a mature student. “He gave me a chance when no one else would,” Chetwynd says with immense appreciation. Chetwynd became an honours student in philosophy and economics. He also championed Sir George Williams on televised youth panels and in debating competitions. 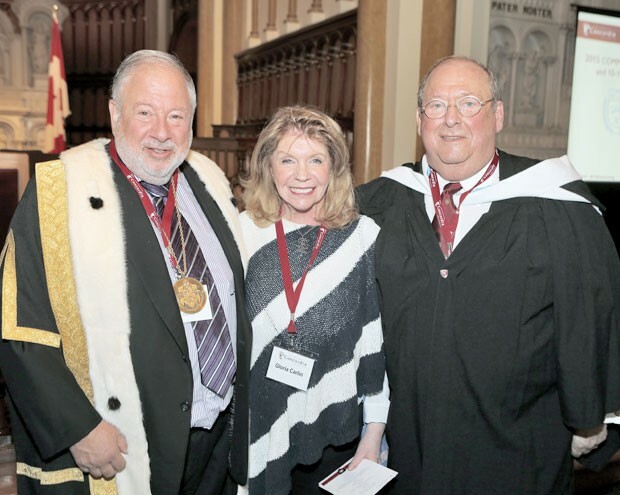 Lionel Chetwynd an Oscar-nominated Hollywood producer, addressed graduates of Sir George Williams university at a commemorative degree ceremony at Concordia’s Homecoming 2015. He is pictured with his wife Gloria Carlin and Concordia Chancellor Jonathan Wener. The growing demand for education by people from all walks of life — and the philosophy embodied by Henry F. Hall to offer it to them — put Sir George Williams in a constant need for additional space. In the college’s early years, Hall no doubt encouraged the alumni association to try to raise the money to provide Sir George Williams with a home of its own rather than in the YMCA building on Stanley St. and nearby rented annexes. It took until 1952 to raise the necessary public funding to construct the Kenneth E. Norris Building. 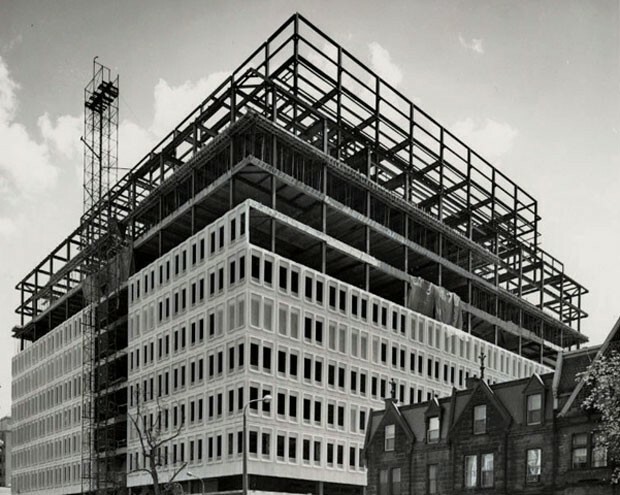 Yet within a year of the Norris Building opening on Drummond St. in 1956, it had already run out of space — even with a sixth floor added in 1959. In October 1957, the Sir George Williams board of governors decided to appoint a planning committee for new premises, and it was decided that a large building as close as possible to the Norris was preferable to the way most university campuses were laid out with a series of smaller structures. Hall described the plan for a “great cubic structure” consisting of 10 storeys above the ground, along with extensive basement and sub-basement areas. At nearly 800,000 square feet (74,300 square metres), it would be several times larger than the Norris Building. Along with numerous classrooms and offices, it would have 124 laboratories, 10 auditoriums, a small but fully equipped theatre, a cafeteria and meeting room space. The cost would be in the range of $25 million (the equivalent of $219 million today), financed primarily by a Quebec government that at the time was putting significant emphasis on higher education in the province, as well as the university’s own fundraising, which included a gift from the Molson Companies. Architects from Ross, Fish, Duschenes & Barrett, and the general contractor, Perini Quebec Inc., officially broke ground with Hall and other university representatives on April 17, 1964. The building was in full use for the fall term two years later, as part of a larger vision that the City of Montreal and Government of Quebec had to create a modern metropolis. Henry F. Hall would no doubt have marvelled at more than all the shiny new escalators.